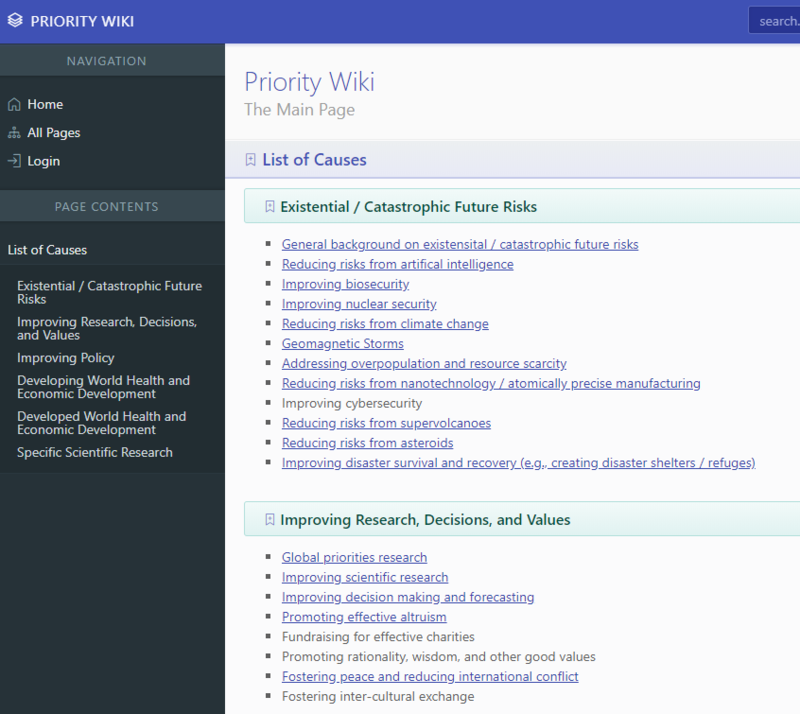 We’ve created PriorityWiki, a cause prioritization wiki anyone can edit which categorizes particular interventions within broader causes. For each of these interventions and causes, we link out to high-level summaries on the topic that have been done within (and outside of) the broadly defined effective altruism community. From there, you hopefully have a good launching pad to all the relevant research in any topic. The wiki is editable by anyone without logging in but also supports accounts, and signing in with Google. All of the changes are logged publicly on GitHub with the site itself hosted here and specific pages here. If you’re interested in expanding this, you are free to add content. Just get started at the PriorityWiki.